This is an excerpt from Chapter 6 of my second, Amazon No.1 Best Selling Hiring Book for Physical Therapists, “The Physical Therapy Hiring Solution – How To Recruit, Hire & Train World-Class People You Can Trust”. “…If Step 1 in the hiring process is Create the Hiring Plan, Step 2 is getting clear on what success actually looks like for you, financially. As business owners, what we really do is multiply capital (your money) by leveraging assets (your staff and marketing system). If I am hiring someone and I’m going to be paying him or her $25,000, I want to know what my return will be. Before you get deep into the hiring process you want to know how much a hire is going to be worth to you. 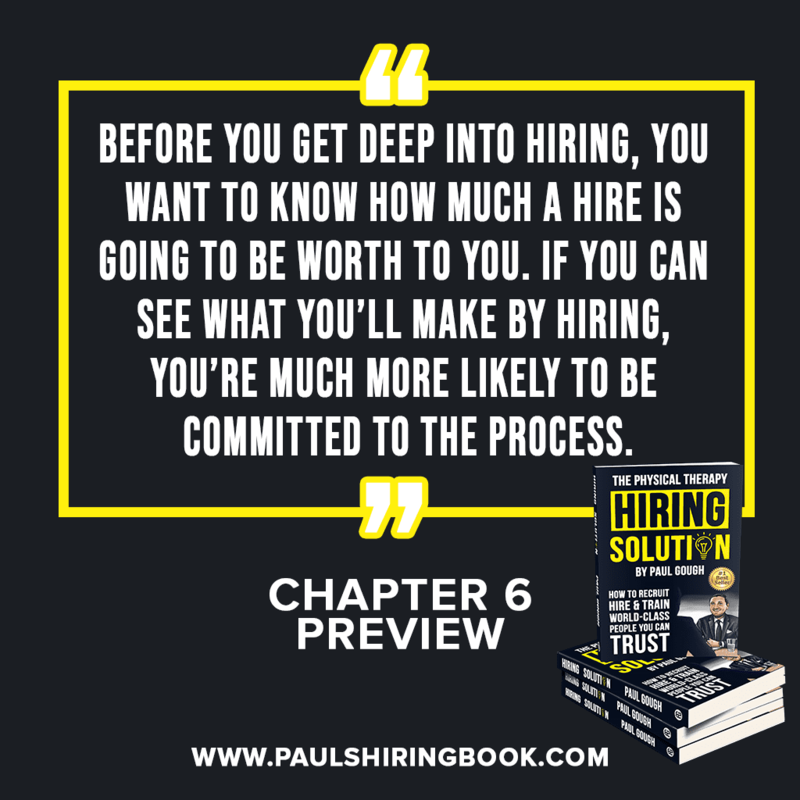 If you can see what you stand to make by hiring (or what you’re going to lose if you don’t do it), then you’re much more likely to be fully committed to the process and avoid all of the mistakes we covered in chapter 2. “The Physical Therapy Hiring Solution” is OUT NOW! Connect with me on Social Media – and use the hashtag #paulshiringbook when you get the book and share your selfie so I can reach out personally to say thank you! So number six from our Infusionsoft training guid:, front desk staff training system. This is a big one that not many people ever even consider to use Infusionsoft for something like this. So from a front desk people are the ones that make the difference that makes the difference. And most of the objections, the drop-offs and the excuses are resistance to the higher prices physical therapy clinics want to charge are the result of poor front desk staff training, I regret to say it. Front desk person doesn’t cost you $25,000. He or she will cost you $250,000 if they aren’t trained to do the job properly. Learned some painful experiences myself, and is why I created the staff training system. So I put all of my Infusionsoft…sorry, all of my staff training videos, and they get delivered to my…the potential new hires, you know, we’ve offered them a job, and when they can start for two weeks. “All right, good, we’re going to start sending you some video that we want you to watch before you arrive.” You know, “I’m gonna give you the job. Are you okay to watch some videos before you arrive, because I need you to show up, start contributing value. I haven’t got, I’m a small business. I haven’t got time to train you for three or four weeks. I need you to show up from the moment that I say yes and you agree to it.” So we’re able to put them into one of these systems. We create a campaign that we put our most important videos, incoming call handling, how we handle drop-offs, how we want patients to be treated and greeted to etc., they’re all on video. So we put them inside a campaign and then enter the email address of the new employee, and they will start to receive all of these training videos. That means they can be trained and retrained regularly using this system, it is incredible. It’s been the most beautiful thing that I’ve done that has contributed significantly to my business. It’s an intangible, and most people overlook this type of thing. But again, why keep wasting energy over, and over, and over, and over on training people over, and over, and over, when you can have a system that just sends videos to their inbox and asks them to watch it, and you can even, if you wanted to go all the way in, you can actually check that they have watched it as well. So put all of my videos inside of a vault in a library and then I just connect that to Infusionsoft and there’s the videos, they just get sent to them. Here’s how I want to handle the incoming call. You know, this one’s for the video for the physios, how to handle the initial consultation, how to engage with clients in our physical therapy clinic. We go down to the nth degree of everything. So this means that when I’m aware, or another business, my staff are watching trainings done by me, meaning the stuff is getting done in the way that I want it to whether I’m there are not. So if I need to make a hire, from the other side of the world, I’m in the U.S., or I’m Australia, or I’m in Canada, and we need to hire somebody, we need to let somebody go, we need to bring somebody in, or whatever, we can post the job descriptions and go through whatever we do. And by the way, we use hiring funnels as well. We use Infusionsoft to hire people in…we ask them to do certain tasks. So instead of looking at everybody’s CV and everybody’s, you know, going through 150 CVs for job application, we use a hiring funnel. And what that is, is three or four tasks that are done on auto, we ask them to do on automation every couple of days and they only get the next email if they do the fast task right, it’s incredible. So we can actually hire people using Infusionsoft systems, and we can also train them as well. So two great ways of me being able to be out the country in a way for my business, but still hire the people, and they don’t have to worry. If anything’s going on in my business, and we need to get people into the business, that the people who come in won’t be able to do the job, they will because of this system. All right, number four key Infusionsoft system from our Infusionsoft training guide is called past patient reactivation. This system works for us to get more past patients coming back to us on autopilot. After patients get discharged from our care, they also enter. So remember, this form that I told you, the physical therapist fills out the form, and he just has to do the form. It takes him like three seconds, and all of this stuff now goes on behind the scenes. So it’s not a big job for anybody, because once you set this up, it’s just a form getting filled up, three seconds, anybody can do it. We also put them into a 12-month sequence of emails, right? One every state it is. Now, listen because this is genius, which tells them about what we call a health awareness campaign, all right? We might be running a health awareness campaign that month, and we were putting different messages and offers that the past patient can get, and we offer them information if they’re suffering with anything mentioned in email. So the email might be about back pain. The email might be about knee pain. And what happens is, the patient will reply to these emails asking for the different information, such as back pain tips or, you know, report, or knee pain, or whatever, and when they do, it’s a signal to us that they are suffering with something we can help with so we’re able to call them up and we start the conversation. So this is them kicked off by the physio as part of the discharge system. Also, sends a different email. And as a result of this system, our patients or they’ll obviously tell their friends about it, they come back and see us very frequently for different injuries that may not have done unless we prompt them using Infusionsoft, so that makes sense. Every 30 days because of Infusionsoft, my patients get an email framed as, “It’s back pain Awareness Month at Paul Gough Physio Rooms. We’ve got some free information that we’d like to give you if you or somebody you know are suffering with back pain.” The mail goes to them 30 days, and then 30 days later about neck pain and we ask them to reply. When they reply, my secretary jumps on the phone and says, “Hey, what’s going on?” Because if they’re replying to an email about back pain, they’ve obviously got a problem that you know how to solve. It’s like getting them in the store. Once they’re in the store, have a conversation with them about how you can help them. It bring so many people back to the business, it’s untrue. Why is it important? Because patients procrastinate over everything, their health included. And sometimes they need to be prompted or a signal to do something and make an easy fast step. So this system responsible for the sign that the patients were looking for to start the process of them coming back and see us. And that’s when I say the sign, it’s quite funny because that’s often what patients will say. It’s like, “Will you send me that email about back pain? It was like a sign that I had to do something because I’ve been waiting to do something for weeks, I just hadn’t got round to it.” It’s like, “Yeah, it was a sign. Like we put that there on purpose to encourage you, to nudge you to come back and to see us.” And it’s absolutely responsible for the huge volume of people who come back to see us without us having to do anything except start the system when they finished our care. So again remember, that’s two system started by one webform. Three seconds, all of this happens, three seconds, anybody can do this. Like I said, it’s not the technology that you obsess over, it’s what you want the technology to do. How do you want this to play out? How do you want this to impact your passions? That is what this is about, and why Infusionsoft is so powerful once you know how to use it. So key Infusionsoft system number two from our Infusionsoft training guide, something I call the win-back system. So what’s the win-back system? It’s a way of winning back a patient who told you, no. So a lot of times it happens. You don’t want a two patient tell you, “No, not right now. Can’t afford it, want to cheaper option,” or whatever. And the galleys used to think that that was a given, that just patients said no, and that was it, it was done. There’s nothing else that could happen, until I put this system in plan. This is easily one of my most profitable systems. Most patients leave a physical therapy clinic and the owner thinks that it was down to the money that the patient said no. So if you ever get push-back from co-pay or deductibles, or costs, or just halfway through the treatment plan, they tell you they found somebody cheaper, you can naturally show him that it was all about the money. Now, it isn’t always about the money. Oftentimes, they’ll just give you excuses, because it just isn’t the right time. It doesn’t mean that you’re not right, it doesn’t mean that your price is not right, it just means that right now, in that world, it’s not right. And that’s the messed and most important thing. So it’s important to understand that, that the price might be all right next month, but this month, it’s a problem. Okay, good. Let’s just build a system that factors that in. And when you grow and as you scale your business, this will become more of a factor. So in the beginning, you know, if you’re the only therapist, or you’re still heavily involved in patient care, you can control a lot of these things, and you keep the stuff in your head. But as your business gets bigger, and you start to expect PTs to call these people back or you relying solely on a physical therapist to make this call back to get them back on schedule, it’ll happen. And if it’s a frustration of a lot of business owners that, is that they expect the PT or the expect the front desk person to call these people back. And with all the will in the world, it’s not gonna happen. Even if they do generally set out that day to call the three people back who dropped off schedule or, you know, you do, all this stuff gets in the way. So having a system working for you means that these patients can be coming back to you while you’re treating somebody else and/or doing something else because Infusionsoft is doing the hard work for you. So it’s got nothing to do with the money for most people. It’s a timing issue for most people, or they’re just weren’t ready for it right now, same thing. So they often make excited decisions at the beginning and come and see you, and the expense was the only thing that they could think of to slow the decision making process down. So often a month or two letter, that patient still hasn’t received the care or the outcome that they needed, nothing changed except they know accept that they need what you do. So if they leave your care to their, you think they’re going somewhere else, and most of the time they’re not, because if it wasn’t the right time with you, it wasn’t the right time with anybody else. So nothing will have change, most of them will still have that chronically knee pain or back pain. But what will have gone on is they’ve had another two months to realize how valuable and the need for your service actually is. Patients are very likely to call you back. This is why this works. Out of their own free will, we wish they would but they just don’t. Six to eight weeks later when they’re still suffering with that knee pain or back pain, and they haven’t got it solved, they don’t call you back. If only they did, but they don’t. The reason is they’ll often feel silly and stupid for saying no to you a few weeks ago. They might think that you think they’re tight. You know, we live in a very judgmental world, and they may think that it probably isn’t true, but it’s their perception of it that matters. And all of this is gonna get in the way from them ever coming back to see you even though they want to or need to. So have a system built inside Infusionsoft for nurturing the patient back to my physiotherapy clinic. It started by a receptionist who enters the details into another webform. So we have another one of those webforms, which just kick-start another system of communication to that particular person. We just put their name, telephone number, and email address into the webform, and boom, Infusionsoft starts talking to them on our behalf. So I don’t need to worry about my secretary or physio remembering to do it today. The system will do it for me. And on average, we win-back around about six of 10 patients within three months, and they always come back better patients because they’ve either tried some other crappy provider, or they’re in a worse condition than they were because under the two months of back pain, they’ve got even tighter or stiffer or the chronic pain is the inflammation is whatever. So they often come back as better patients. So the win-back system from our Infusionsoft training guide is incredible. So key system number one of our Infusionsoft training guide for Physical Therapists; here we go! This is something that I call the value added welcome system. What is it? Well, simply it’s what we do to make the patient feel special and welcomed before they even arrive at our practice. It helps us to give them a clear understanding of what they’re really paying for before they are asked to pay for it, because at my physical therapy clinic, they’re not just paying for physical therapy; we like to provide an experience. We like to be judged on the experience that we provide for patients, the time that we give to people, the decision that we help them make. We like to brighten the day and have some fun with people, and we want them to judge us on that not just as a Physical Therapist. A problem that lots of physical therapy clinics are running into is that they are commodities. They have people calling up and asking the price and then looking for somebody cheaper, or canceling appointments because they found somebody cheaper halfway through the cap line. That’s because you’ve let them judge you on the Physical Therapy, okay? Now there are hundreds of thousands of physical therapists around the world, so the game becomes, how do we get them to judge them on something else? How do we get them to judge us for something other than physical therapy? So in my clinic, we are being judged on the people of the business and the experience that we provide, and how we make people feel in terms of how special they feel when they enter our world, not just on how well we’ve recovered their ankle or their knee. When you hit like that, it’s pretty dreadful. When you want to be judged on the outcome of a knee pain or a back pain, anybody can do that. What’s important is that they judge you on something that nobody else is providing, which is the experience and how you make them feel as a result of doing business with you. So the value added welcome system from our Infusionsoft training guide helps us to do that. How we do it? Here’s a quick example from day one. Patients are entered into a simple webform, which I’ll show you in a moment, that’s connected to Infusionsoft. They can be sent a sequence of emails telling them more about our physiotherapy practice. We get to reinforce our USP, which is, what our unique selling proposition is, and explain who we help and how. So when we communicate with patients who we help, so we say, “Hey, somebody just like you come to see us every single day,” they become part of our physiotherapy community. They feel more part of a community. They feel as though they’re part of a tribe of people just like them rather than simply going to a physiotherapy clinic. Again, when you hear it, it doesn’t sound a lot better? Would you be prefer to be part of a community of people like you, or to go to a physical therapy clinic? And we also educate them on how we will help them, okay? We talk to them about the why and the how, and what we will do for them before they even arrive, so that there’s no fear about giving us their money, no fear about giving us that time. We’re educating them before they even arrive because it makes this wonderful thing called a prescription of care a lot easier for the therapist come the day of evaluation. So when we have to look them in the eye, and we have to sit down and say, “Hey, you need nine sessions or 12 sessions of physical therapy to solve this problem,” it becomes a lot easier because we’ve already helped them to understand what they’re going to get from us before we come along and tell them. These prescription of care sessions, you know that one hour that you have with a patient, you think that they’re listening to everything and they’re not. Human beings can only take in 7% of the viable message. Probably cut that in half, given that our patients are actually in a lot of pain, stress, worry, fear, uncertainty, doubt in that first session, that’s the irony. Towards the end, when you’ve got that incredible relationship with them, they’re hearing more about what you’re telling them because they’re not as closed off, because they’re not in as much pain or worry. So at the start, you’ve got to do everything that you can to open them up, to get them to feel relaxed, to get them to feel comfortable, to have already read ahead something that you repeat in the prescription because now, all of a sudden, it feels familiar. How do you get trust? The familiarity. The familiarity breeds trust, so the purpose of the value-added welcome system from our Infusionsoft training guide is to build trust already into the relationship before they start to even get to the practice. So we put them at ease with videos and information that confirms they made the right decision. We don’t want buyer’s remorse when they arrive at my practice. And because they’ve been further informed and enlightened, patients show a warm and are happy to say, yes, at much higher prices than anybody else around here. So most clinics, the patients show up with nothing but a bunch of insurance forms and questions about how much it’ll all cost. We eradicate all of that before they arrive, okay? They are just showing up, they kind of aware, they are excited to see us, we’ve got them excited, we’ve given the warm fuzzy feeling, and all thanks to the infusionsoft system that does it, and the content and the material that we put into the system, powered by Infusionsoft. I call it giving the patients the warm fuzzy feeling before we exchange expertise for cash, all right? You will be judged on expertise, you will beat. Somebody will come around the corner, we’ll do the same physical therapy for cheaper, so you can stay in that model, not anymore. There are too many options for these patients, and we’ve got to move into a whole new model of running a physical therapy practice (using infusionsoft), the experiential model of running a business, and using systems to provide that experience. Now, that’s the video that they get. Thousands of people now watch that video, and it tells us true story. As you can see the email, “Hi Joe(? ), it’s Paul here again, please let me continue to welcome you to my clinic. What I want to do today is make sure you saw this video. And it’s a video, that’s of three of my staff, and the one in the middle; Vicki, actually came to see me as a patient. Now, I was walking out at the room, this is a true story. I was walking out the room to get something, and I said, “No.” She obviously didn’t hear me. I left the room, I came back in and she was in the middle of taking her clothes off. Okay, pretty routine for most, you know, patients and therapist. Patients sometimes have to take clothes off in front of you, we all know that. What the story that unfolded was obviously, as I walked back in, I said, “No, no, you know, you don’t need to get your clothes off blah, blah, blah.” Vicki was very embarrassed, even more embarrassed that within a couple of weeks, I’d offer a job at my practice and you know, obviously that kind of relationship all of a sudden then became she almost took her clothes off in front of her boss. Now, that is a completely different thing altogether. So what happened was, when Vicki got the job, she started tell her patients this story, that she came to see me and she didn’t really understand what was going on, and she almost took her clothes off in front of me, and patients thought it was hysterical. Patients loved it. They found it hilarious, and it really put them at ease. So I continued to encourage Vicki to tell that story more often, and then we realized there was a better way than to do it when they arrive. “Let’s tell it to them before they arrive.” So now we use Infusionsoft to send them this email and to ask them to watch this video, and as well as answering the question, “Do you have to take your clothes off?” which is a very common question that even if they don’t ask it, they wanna know the answer to it. Now, bear in mind that we haven’t even looked at their knee or their back yet. All that we’ve done is use some marketing systems from our Infusionsoft training guide; we’ve used Infusionsoft email funnels to send this type of thing to make them feel warm and fuzzy about coming to see us. They are already in love with what we do because we’ve made them feel special, and we put them at ease, the experience game. Can you understand now how easy it would be for my physical therapist to come along and say, “Hey, you need nine physical therapy sessions, or you need 12 sessions and this is the fee,” because these people are warm and comfortable and familiar with us already due to the infusionsoft marketing funnel and nurturing. Now again, you can it gives my patients comfort to know who will actually be serving them and looking after them tomorrow, or Wednesday, or Thursday, or whatever day it will be when they arrive at the physical therapy practice. So how does infusionsoft help? Well, physical therapy is what you expect or what they expect us to do. The experience is the thing that they didn’t expect us to do. They did not expect that to happen. They did not expect us to have some fun and a laugh and to giggle with them before they arrive, you know, they didn’t want that. So they didn’t expect it. They didn’t ask for it, but we give it to them through infusionsoft. And everybody wants that type of thing to happen. So we can be good at what we do in the treatment room, but if you’re focusing on it, you will lose to the physical therpaist who gives you a better…who gives these patients a better experience. So if you’re not focusing on it, we will lose to the physical therapy business around the corner who does do it. So since we started implementing the marketing systems from our Infusionsoft training guide for physical therapists, we got less no-shows, and less resistance to care plans, and even if one of my secretaries is having a bad day, the patient still gets to experience what we’re really all about as a physical therapy clinic. So what I mean by that is, again, you could have a receptionist who’s just had a bad day, she’s not feeling well, she’s having problems at home, or he’s having problems at home, or just is having an off day because humans do. Even if that is happening, and the phone doesn’t get answered as well as we want it to, and we know that that influence is whether or not people show up and how much they pay, and whether or not they feel confident in the decision that they’re about to make, the patient still gets to experience what we really all about as a physical therapy clinic. So this is me starting to show you a little bit now about Infusionsoft. This is a webform that we use and the systems are kick-started by a simple. So that is a marketing strategy that we build inside an Infusionsoft email funnel marketing campaign. So my secretary there can use that webform. It sits on her computer, on the desktop. She can enter the patients’ name, type of client, how they found us. She can enter some you know, a little welcome chitchat that says, “Hey, Steve, you know great to talk to today, dah, dah, dah, where does it hurt?” Other things that we put in there just in case it isn’t back pain, or knee pain, or whatever it’ll be, how long have they suffered? Person’s main concern, what stops the person from doing, number one thing person would like to achieve, all right? ‘Booked physical therapy appointment by’, so we can put Vickie’s name or Becky’s name in there. We can put the physio’s name. We can put the clinic location. We can mail match the time and the date. Pretty much everything that gets entered into that webform, gets mail merged into an email. So we’re saving time, but we are basically putting into that webform what they are telling us they are looking for. So it confirms to the patient very quickly that we listened, we understand it, and we know what they want to achieve. That is what drives certainty into decisions. And certainty causes people to show up, to pay confidently and to stay on schedule. And that’s what I love about Infusionsoft. There are very few if any of the software or the equivalent CRM systems out there that compete with infusionsoft. You know the cheapest of that you might be considering that lets you do this type of thing, and that is the justification, you know, for kind of moving forward, or something like Infusionsoft, because it allows you to create. These are just simple webforms. You go inside, you create them, you enter the details, and the automation takes over after that. And you access it you know, if you think, well, how you access the webform. You create it inside your app. You get an application, and you go in and you make the webform. And then you get a link. You get a URL like this just like a web link, or, you know, a webform, paulgoughphysio.com or whatever, Infusionsoft will give you the form. And I give that link to my secretaries who have it on their front desk. We have it open in our tabs. Whenever we want to go to it, we just click it or if it’s already open, obviously, it’s there for the staff to access. So a lot of the systems get kick-started by these types of webforms at the beginning, and then it kick-starts all of the emails in the communication that goes out after. It started by you, and it saves you so much time moving forward. This one system from our Infusionsoft training guide has alone significantly increased our arrival rates and complete plans of care. So before Infusionsoft, we had an 89% arrival rate, and since Infusionsoft, it’s 95.5%. We’re almost hovering around the 95% arrival rate. So 6% is a significant difference that becomes more valuable as you grow. Physical Therapists: Welcome To Your Infusionsoft Training Guide On The 7 Key Infusionsoft Systems To Help Build Your Physical Therapy Business With Added Marketing Strategies And Tips Given To You By Top Physical Therapy Clinic Owner Paul Gough. 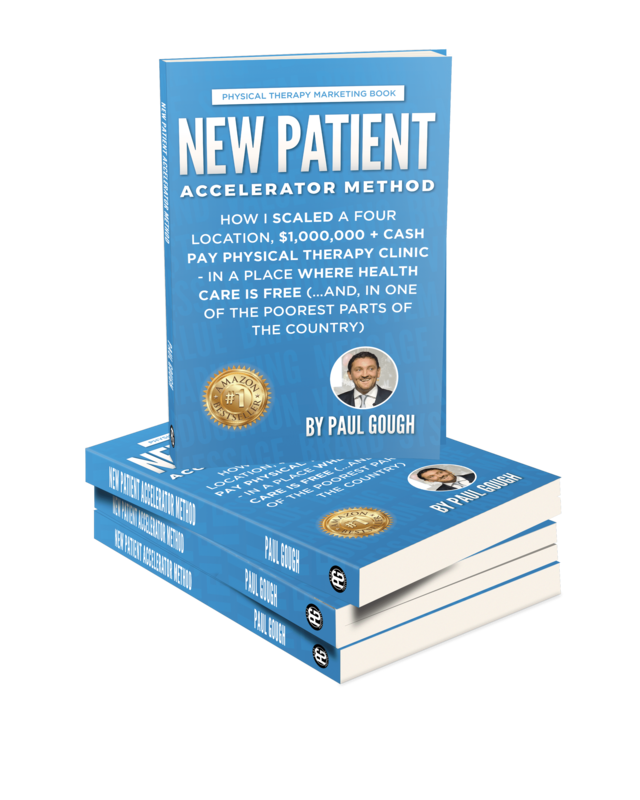 This Tutorial is written by Paul Gough – a leading Physical Therapy Clinic Owner from the UK who has used Infusionsoft to successfully grow and scale a 4 clinic cash-pay practice. He is a published Author and a “Small Business Icon” – winner of the Infusionsoft Award “Best In Class – Lead Nurture Marketing Systems” and is now an Infusionsoft Certified Partner. If you are a Physical Therapist looking for a trusted resource to guide you on how to use Infusionsoft at your Physical Therapy Clinic – then this tutorial is it. Key system number one of our Infusionsoft training guide for Physical Therapists is something that I call the Value Added Welcome Sequence. What is it? Well, simply it’s what we do to make the patient feel special and welcomed before they even arrive at our practice. This helps us to give them a clear understanding of what they’re really paying for before they are asked to pay for it, because at my physical therapy clinic, they’re not just paying for physical therapy; they’re paying for an experience. We do this through a very carefully constructed and specific set of email funnels using Infusionsoft. Key Infusionsoft system number two from our Infusionsoft training guide is the Win-Back System. So what’s the win-back system? It’s a way of winning back a patient who told you, “no”. Often when this happens happens, you don’t want a patient to tell you, “No, not right now. I can’t afford it. I want to cheaper option,”. This was something we just had to accept in the past, until I put this client retention win-back system into place. This is easily one of my most profitable systems within our Infusionsoft Training Guide for Physical Therapists. System number three from our Infusionsoft training guide for physical therapists is the Never Ending Discharge System. This is a systematic way of keeping in touch with our patients long after their care finishes. It is a sequence of automated emails pre-written to engage with, and constantly connect with patients. On discharge, the patient gets entered into Infusionsoft via another one of these webforms while we are speaking to them about our entire list of services so we can input their primary interest into a form for follow-up team. We can prioritise the more keen patients to make them return customers! So number four of our key Infusionsoft system from our Infusionsoft training guide is called Past Patient Reactivation System. This system works for us to get more past patients coming back to us on autopilot. After patients get discharged from our care, they enter the discharge form that we fill out, then they are entered into an automated 12-month sequence of emails which tells them about what health awareness campaign we are running at the time, featuring different messages and offers that the past patient can take advantage of. Now key Infusionsoft system number five from our Infusionsoft training guide explains how we can systematically Reactivate Drop-Offs and No-Shows that we all get, particularly as your business grows. If you’re a small one-man band right now, you may not have a huge problem with it, but I guarantee, as your prices go up and as you grow and as you scale, and as you bring more people in, it is a problem just naturally. Other systems should really limit the amount of no-shows but, If patients do drop-off or are no-shows, you need a system that wins them back. So number six from our Infusionsoft training guide is the Front Desk Staff Training System. This is something that not many people ever even consider to use Infusionsoft for front desk are the is the part of your chain of communication that makes the difference. Most of the objections, drop-offs and the excuses aren’t resistance to the higher prices physical therapy clinics want to charge but the result of poor front desk staff training. Front desk staffing doesn’t cost you $25,000. He or she will cost you $250,000 if they aren’t trained to do the job properly. So I use infusionsoft to upload and distribute my training videos to new starters so when they enter the business, they are fully prepared! So key system number 7; the final key system from our Infusionsoft training guide is the Marketing Automation System (using infusionsoft). It’s a way of acquiring new patients at your practice without you having to physically do anything. So for example, prospecting to doctors is manual labor because of the repetitive actions. Acquiring the names, email, and telephone numbers of new patients, for example using Facebook is marketing automation! Collecting the data into Infusionsoft through forms will allow infusionsoft to automatically target certain groups and leads, and even ask for referrals! There’s a lot opening up these days – all wanting to get the edge. But many are being held back from impacting more people because they don’t have their Marketing plan in place. Many PT’s have a nice premises, a fancy logo and even a website – but no Marketing plan. What made it worse – there were tons of other cash-pay PT’s all wanting to work with the crossFIT athletes he was targeting. In a nut-shell, he was “stuck”! ===> Read the case study here! Until he saw the Accelerator Masterclass program (the last time we opened up registration) – and he knew this was going to be right for him! …but the thing was, his SOON TO BE WIFE wasn’t to keen on him doing so! She wanted to spend the enrolment fee on the upcoming wedding. But thankfully – after one or two uncomfortable conversations with his soon to be new wife – they both agreed that it was in their best interests if he did learn how to Market his great PT skills better. And so despite having the huge expensive wedding to pay for a the same time – Mike enrolled in Accelerator. Within “3” months of taking the class – Mike was already $5,000 per month better off. …and already starting to talk about expanding Next Level PT to a second facility. …he’s been able to raise his prices without any resistance. Then enroll in the Accelerator Program, here. P.S Want to see even more Accelerator Success Stories? ===> Click here see dozens of Accelerator Method Success Stories! This program has already helped over 100 PT business owners already – so you won’t be the first to try it out. …we just have to have you enrol so that we can show you how to do it as well. 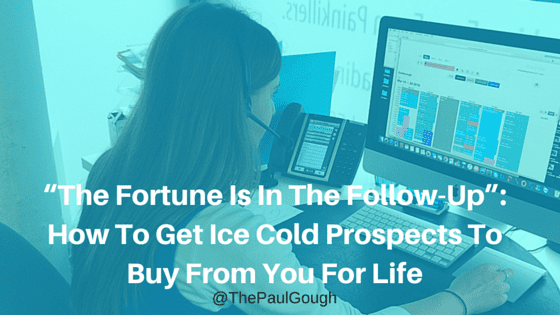 On this Physical Therapy Profit Academy Master Class, we’re going to show you how to use the power of follow-up (a.k.a Nurture Systems) to turn ice cold prospects into life long paying patients, even if they say NO to your services at the beginning. This is perhaps one of THE most important topics we’ve ever covered on these articles. Why? Because most people when they are browsing on websites or even inside of stores, are NOT READY TO BUY NOW. They’re simply STARTING to make decisions. Even if they inquire about cost or insurance – and they don’t like the answer – it doesn’t mean that’s the end of the relationship it simply means they make a quick, snap shot decision that they didn’t like or maybe understand proposition. As humans beings – when we hear something we don’t quite like the sound of – or are unsure of – or that is confusing – we say NO by instinct. It doesn’t mean they DON’T value their health. And all it means is that YOU haven’t done enough to see the REAL VALUE in your services yet. ALL of which tie in with the topic of providing VALUE to potential new patients – THE most important thing to get across in your clinic’s Marketing and sales! But in today’s article, we’re going to take an even deeper look into how you can provide value to prospects at every stage of their journey, until they say ‘YES’ to paying you for PT. It all comes down to just this one thing. Following up. Following up on an inquiry EVEN IF they said no. I’ll explain more about that in just a moment. What exactly do prospects care about? And how can you deliver it to them while growing your clinic at the same time? “With a powerful follow-up system in place”. How many people do you think that is? On a Master Class with my group of PT Entrepreneurs the other week I asked this exact same question, their response? That’s always the response I hear whenever clinic owners imagine how many people they’ve let slip away because they don’t have solid follow-up systems in place. Where would you be in your life right now? One of the answers from a PT in my Next Level group? “Retired, in a second home in Charleston”. That’s how much not losing his prospects mean to him. So what exactly do I mean when I say “the fortune is in the follow-up”? Right now, there’s more people checking out your practice on your website, making inquiries, thinking about coming in to see you… than actually DO (pull the trigger and come to see you). …then think about the compound effect of them coming back and even referring friends, do you think it would add up a lot of dollars to your clinic? And, would it be worth your time to set up a few simple “follow up” systems? Success in business comes down to just one thing. And usually BEFORE you get paid. But the thing is, a lot of business owners (not just PT owners! ), live in a world where they think prospects that didn’t buy “just don’t see value”, or they’re “tight, cheap and don’t want to pay” – which couldn’t be further from the truth. If you think that to be true – you’re almost labelling yourself as “tight and cheap” too. Our first reaction is almost, always “NO”. But then I just forget! But if that guy in the store had approached me and asked something different like – “Sir, I can see you’re thinking about buying this suit, are you going to a Wedding soon? Instead saying “no” right away, my reaction would have been completely different – I’d start to engage with him and he’d have a much better shot of potentially getting my email or telephone details so that he can follow up with me – just incase I forget to return. This behaviour is exactly the same for people who inquire at your clinic by email, telephone or by visiting your website. In the consideration stage prospects have come to an understanding about what they need to do to find the solution to their problem, and they’re thinking about it as they want to be certain you’re the right clinic to pay for PT with before they buy. And finally in the decision stage, prospects have chosen their solution (to pay for PT), and are evaluating what clinic to do business with. So it’s your job to help guide them, give them information that helps them confidently say “yes” and to connect and help them make the best decision – so they choose you! As soon as someone inquires – if it’s via email we respond within 24 hours, and if it’s by a phone call or if someone walks in we never talk about Physical Therapy first – we make it all about THEM. We find out things like what’s been going on, what they’re suffering with, what their pain is stopping them from doing and what concerns them most so we can help guide them into making the best decision. That way, after 3-4 days where life can get in the way and people forget about inquiring in the first place, when my team call they usually say they’re so happy we did because they completely forgot, but know they need to do something about whatever is going on before it gets worse. If you follow-up regularly with leads and nurture them, you stand a much higher chance of converting that person into a paying customer than you would if you dived in with talking about PT right away, or doing nothing at all and having no contact details to keep in touch! Because it’s true – people forget, we all do! They just don’t see the value in what you do until you SHOW them. And after you’ve got their business – no more nurture systems are needed because you’ll have their business for life! You can either blame people for not booking an appointment, or you can blame yourself for not guiding them (which you can do something about). You can train staff, put better systems into play, get better success stories, increase the experience people have the moment they touch base with your practice. The person just needs to be given more information first before they make a decision. A world that you can’t control, or a world that you can? It’s much more profitable to live in a world that you can – and there’s no competition when you do this because nobody else in your town wants to change the way they do things. They’re all stuck in the past worrying hard enough HOPING and PRAYING that change and progress will pass them by. Unfortunately NONE of us – the writer of this article included – is immune from the winds of change. The PT Industry is most definitely NOT, either. Keep showing up, and you’re going to get more business. On this Physical Therapy Profit Academy Infusionsoft Master Class, we’re going to show you how to use the power of infusionsoft to keep in touch with patients, even WHEN they’ve been discharged – so they’re a customer for life, and not just for 8 PT sessions. Which are all huge for your success! But in today’s article, we’re going to dig even deeper – specifically, how to make sure that once a patient has come to the end of their treatment sessions, we have a method to keep them coming back to us – for life. …POWERED with the magic of Infusionsoft. When someone pays for your services, what happens next? Do you have something in place to keep in touch with them after? For most clinics, it’s the latter. Having such an Automated Discharge System in place is what separates “ok joe” businesses that are surviving – from successful businesses that are THRIVING. The problem is, most small businesses have nothing like that in place (or even if they do, it’s definitely not as effective as it could be). That means a HUGE portion of the upside in profits that new patients can bring, is being left on the table. Unlike any other e-mail marketing system, Infusionsoft takes follow-up to the next level and makes your life as a business owner a hundred times easier. It allows you to make a lot of money by keeping people coming back for more by logging something I call a patients “primary interest”. At my own clinic – the Paul Gough Physio Rooms – as soon as a patient has come to the end of their treatment plan and they’re ready to be discharged – we give them a call within 24 hours with a view of providing them with information on WHAT ELSE we can offer them, and to see when they might be ready to buy it from us. Now, ‘primary interest’ = patients hobbies, goals, what other services they use outside of PT such as massages, acupuncture, etc. …which then gets sent to my font desk staff notifying them to make the follow-up call the next day! And that’s where the gold lies within – because now you can offer it to them – elegantly and sophisticatedly as part of an “exit offer”, or a cash up sell, as it is more commonly known as. …I promise YOU, unless they’re looking for it, they won’t know unless YOU tell them! Just like it’s important to find out what concerns a patient most about their back pain when they come to see you, and what they’d like to get out of it – it’s equally as important to know what else interests them so you know how you can keep adding value to their life – for which they’ll happily pay you for! Which is exactly what you’re doing – all the time, adding value! …you’re not going to enhance the relationship. What you want is to be seen as a “value provider”, someone who can offer other products and services that’ll add significant value to their health – over and above PT! You want to become someone who ‘gets’ what their needs and wants are. And if you become that person – you’ll need a suitcase to take the cash because so many people will be happy to pay you for being THAT person in their life! Once you have clear answers to those questions – of what ELSE people want – you can then deliver answers to them until they’re ready to come back and buy it from you, (using infusionsoft it’s done automatically) – and that way, you’ll always be seen as more than just a PT clinic, but someone they trust and want to do more business with too. Infusionsoft allows you to send the right message, to the right person, based upon what THEY tell you they want to receive – sending messages or promoting about – simply by inputting unique information about patients straight away. After that, you let it go to work! This type of thing is something that I’m working on right now and helping my community of Next Level PT Entrepreneurs to build into their clinics. It’s a game-changer, that’ll make you a lot of money AND likely to free you from always thinking that you HAVE to KEEP on looking for more new patients to survive. With sophisticated follow up systems like this that go to work after discharge, you’ll have a pipeline – a steady stream of happy past patients desperate to come back and see you. Want to know more about how we can implement these types of award winning Infusionsoft systems into your PT clinic? Reach me here and I’ll arrange to give you a demo of Infusionsoft – the software that allows me to run my clinic on autopilot at any time, no matter where I am. Paul Gough is an AWARD WINNING Infusiosoft User. A Small Business Icon – Best In Class Lead Nurture Systems 2016. Paul was selected from 100,000 world wide Infusionsoft users as having the BEST in class systems for lead nurture and conversion. What that means is – if you’re thinking about using Infusionsoft, there’s no PT better in the WORLD to show you how to implement it’s powerful capabilities into your PT practice. Want Me To do Your Clinic Marketing For You? Would your clinic be easier to run if someone took care of all of your marketing for you?.. …Would you like me to personally help you create and implement my most effective marketing campaigns? The same marketing strategy and content that are working to help other owners right now – as you read this? Each month I work with two owners personally… to custom build out an ENTIRE “off-line” (with a touch of on-line) marketing campaign …and I wanted to see if you’d like me to do it for YOU. Me and my tech team do ALL the work for you – often within 14 days. * Custom “Newsletters” so you so that you can blanket your town with every door direct mail looking for new (and even bring back some past!) patients. I do all of the email follow up campaigns too. I’ll set up your first landing pages so that you can get both “online” and “offline” enquiries – or do both at the same time! …and will create custom copy, make changes to your current marketing material, and fine tune each campaign specifically to YOUR clinic and the patients you want to attract. We could start with getting some more “back pain” patients? Or, maybe we could target some people with “neck” pain? Even, “postnatal” or “sports injures” if that’s your speciality. Either way, you’ll have nothing to do but wait for the phone to ring (With hours of running your first ads!). …but if it’s what you want and are looking for – then within 14 days from saying “yes” you’ll have a fully functioning new-patient getting marketing machine – specifically created for YOUR clinic. – Andrew Vertson, Intecore PT, Multi-clinic owner, Orange County. “Lead Generation” is simply running adverts with the sole goal of beginning a relationship with some one you can help. In the beginning, you’re NOT asking for any money or an appointment in your ads. No… You’re just going run adverts (in newspapers or magazines etc) with the sole intention of getting *contact details* so that you can have MULTIPLE attempts at following up on that initial enquiry – because not enough people know enough about pt and are ready to say “yes” straight away. Why does this method work so well for pt’s in particular? Well, it’s because in society there’s just too much confusion over what a pt actually does. And because Direct Access is just as confusing for pt’s as it is patients, the smartest thing to is just forget about both completely in your ads. And most definitely do NOT try to explain the laws of direct access in ANY adverts or on your website. Well, people are not really interested in it – and if you do highlight how easy it is for people to go and see a pt, you also run the risk of advertising on behalf of your competitors across the street who might see a bump in their referrals as result of your “it’s easy to self-refer to see a pt” style adverts (!!). So, Lead Generation means you’re NOT asking for the person reading your adverts to call and book an appointment – you’re only asking for people to call your clinic and request something of perceived value to them (that you’re happy to give in exchange for contact details). Now, that something of perceived value could be a “How To” style pdf or report that you’ve wrote containing your best advice to help some one recover from, say, “back pain” (or knee pain, etc). 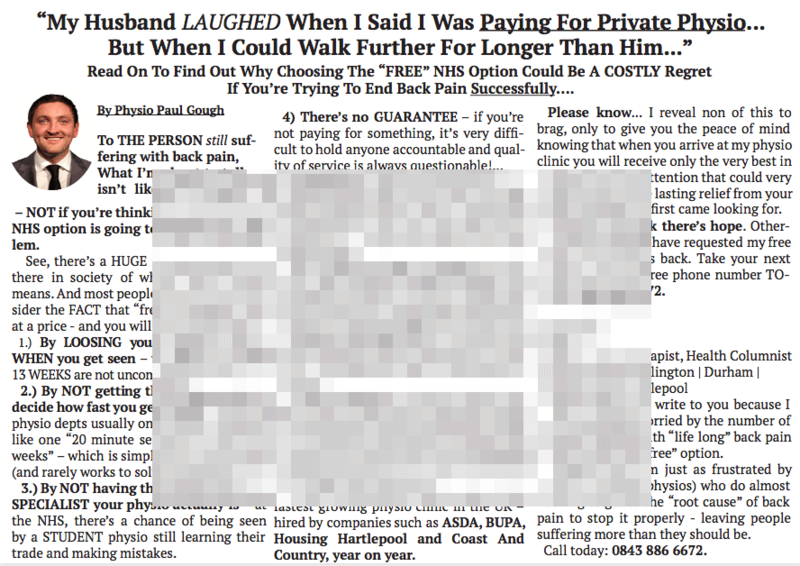 (This report ^ is the EXACT one I use for my own clinics marketing when I want to get the attention and contact details of people with back pain). Now, you might be thinking that if people call to request FREE advice, they won’t go on to become a patient? No body really wants to do this on their own… they initially just think they do but are just too confused, unsure and even frightened of getting the decision wrong to actually pick up the phone and call a pt to book a pt appointment. The fear of the unknown stalls most people from doing just about everything! Advertising free appointments works for Chiropractors because 9 out of 10 people on the street would know that those guys specialise in back or neck pain. So they almost automatically go and see one if they have either – simply because they know everyone else does – and all chiropractors have to do to help the referral process along is provide their phone number in the local newspapers. But, unfortunately it’s not like that with physical therapy. And when people are unsure, confused, skeptical, or even nervous about a decision that could result in both time and money wasted – not mention embarrassment about calling the wrong place – then they will do NOTHING! It’s just too big of a step for most people to “cold call” a pt clinic and book an appointment right off the back of seeing an advert in a newspaper or google. Give them a little hope and a reason to respond to your advert that isn’t going to cost them in either time or money – and give people a “lower barrier to entry”. Give them what I call a “little win” (by following the tips in the report so they can see for themselves your advice works) and make it super easy for them to reach out to you with their resistance levels lowered. And a free tips report which offers some expert advice on how to ease their pain WITHOUT any commitment needed (financially or in time) does both. (Or whatever pocket of people you want to target). Explain how easy it is to “self refer”. Maybe offer a free first visit. And make it almost impossible for them to say no by offering to diagnose their problem (everyone wants to know what’s wrong!) and promise to provide much more specialist advice and hope for the future, if they come for a free visit to your clinic? Explain that no referral from a doctor is needed. Thats there’s no insurance or payment forms to sign and they’d be under no obligation to book any appointments after that first session? Do you think that one or two might say “yes”? Having a conversation on the phone with someone is way cheaper than trying to explain all of this in an advert, or even on a website, as it can often and so very easily be mis-interpreted. So know you know that the goal of your advert was simply to get the phone ringing off the hook with people wanting information about a problem that you know how to solve. If a quarter page advert costs $300-400 to run, and your initial upfront patient value is “$1000”, then even just 2 people who “YES” is a very healthy immediate NET profit return of $1600 on your advertising. Because you’ll also get people who call and say “not right now thanks”, to your offer of pt. But they are still somewhat interested and have a need for your skills. So, what do you do with those people? Well most clinic owners do nothing. But those people are where the REAL gold is. And all you have to do is put them put them into a follow up system… and continue to keep in touch with them using things like email, telephone calls and direct mail – providing the prospective patient with more information so that they can make a better, more educated decision about pt – as most times all that is holding them back is they just want to know a bit more first i.e. you need to earn their trust! Some of the people who originally said no will “yes” within a week, others, maybe 30 days or so! And as a general rule of thumb, the longer you stay in touch, by sending emails or direct mail, the more likely they will say “yes”. So there you go – a proven strategy to boost self referrals at your pt clinic. Founder at the PT Profit Academy. …we made this precise lead generation strategy for him work to deliver a continuous stream of hot new patients that come to him first – and then HE decides which doctor to send them to for the necessary referral. If it can work EVEN IN Michigan, it will work for you, too. The one that solves the biggest problem that most pt’s have which is getting more people to realise how easy it is to self refer to a pt clinic. (And does it in a clever way which DOESN’T raise the profits of your competitors, either). It’s a MACHINE that is made up of *three components* and today I’m going to SHOW it to you by taking you behind the scenes of precisely how it works. And let you see for your self if having this type of Marketing Machine in play at your clinic would help you over come the problem you’re having with things like doctors not referring to your clinic, no marking skills or even chiropractors who dominate in your town. Press play here to watch the first tutorial: The Attraction System. An independent pt clinic owner from Michigan who came to me with no Marketing skills, large orthopaedic hospitals dominating in his town AND three chiropractors in his street – which was VERY frustrating for him as every time he looked outside his clinic he could see ten cars parked outside the chiropractor place next door, and not so many in his! (Even though he specialised in back pain). And basically, what he wanted, well, was just a better way of educating the community about how easy it is to “self refer” to HIS clinic. Press play to watch the first short video tutorial. Oliver, who you will see on this video, has claimed his right to “Area Exclusivity” on this “everything done for you” marketing system he invested in himself with me, so his competitors can ask all they want – but they ain’t getting close to this system being in place at their clinic! Want to talk to me about getting exclusivity on this marketing system in your town (…before your competitors do)? So, you’ve got your ATTRACTION SYSTEM in place. And more calls and enquires are now happening at your clinic because more people are AWARE of the *specialist* solutions that you offer. You need a BUYER SYSTEM. Something that MOST clinics don’t have. However well your receptionist handles an incoming fax from a physician, a phone call, or an email – this IS NOT a buyer system. It’s a REACTIVE way of processing the “ready to buy now patients” – something which there aren’t a great deal of (in any industry). Now that you’ve got the phone to ring more, the goal is to convert as many of those “prospective” new patients – into high paying ones, as FAST as possible. And that’s why it’s important to make your BUYER SYSTEM specific too. Because the more targeted the message in your follow up system (involving: direct mail, phone calls and emails), the SOONER the conversion to new patient takes place. And what’s more, the *higher fees* for your programs and sessions you can charge. 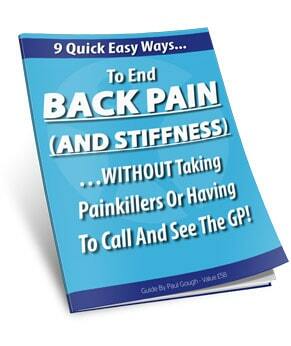 (A real FOLLOW UP POSTCARD which we send to people with back pain – and is part of my clinics BUYER SYSTEM). Let me first explain to you what happens when people contact my clinic in response to any of my adverts (attraction system). My receptionist will ask specific questions. to keep active or mobile”. We can then custom tailor all of the FOLLOW UP messages in the system so that we talk all about their problem. If you like, we “AGITATE” it. And we do it in emails and follow up telephone calls too. We talk more about THAT than their back pain – because that’s what creates an emotionally charged buyer – and we’re easily able to match that to our “highly specific solution”. “My husband laughed when I told him I was going to see a physical therapist… but when I could walk further and for longer than him”. Because it lets the reader ASSUME (…for themselves) that physical therapy is something that can help solve their real problem – which is “loss of activity” thanks to back pain – NOT THE back pain! Hopefully that your pt clinic will be a LOT more profitable with an ATTRACTION SYSTEM and a highly specific follow up and BUYER SYSTEM in place. One that works AUTOMATICALLY, with or without you, too.